Mr. Dunbar was selected by his peers to be included in the 24th Edition of The Best Lawyers in America™ for his work in Transportation Law, Legal Malpractice Law, Medical Malpractice Law, and Personal Injury Litigation. Dunbar was also selected Lawyer of the Year in Mississippi for Transportation Law. He has been included in Best Lawyers every year since 2011. David Dunbar’s practice focuses on commercial trucking accidents, professional errors and omissions, insurance, products liability, personal injury, premises liability, medical malpractice, bicycle accidents and commercial litigation. He is admitted to practice in Mississippi and Georgia. 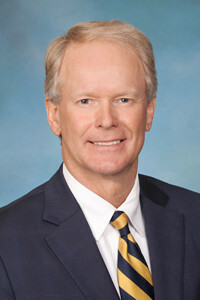 David C. Dunbar is also admitted to practice in the U.S. District Courts for the Northern and Southern Districts of Mississippi, U.S. District Court for the Northern District of Georgia and the U.S. Court of Appeals for the Fifth Circuit. Mr. Dunbar is AV Rated by Martindale-Hubbell. Mr. Dunbar received his B.A. in history in 1982 from Emory University where he was a member of Omicron Delta Kappa. He received his J.D. in 1985 from the University of Georgia where he served on the editorial staff of the Georgia Law Review. He is a member of the Federation of Insurance and Corporate Counsel, American College of Transportation Attorneys, the Trucking Industry Defense Association, the Transportation Lawyers Association, the Mississippi Trucking Association, and the Defense Research Institute. Mr. Dunbar is an approved mediator for State and Federal trial courts and has successfully completed the Harvard Law School Mediation Workshop. He served as a commissioner for the State of Mississippi to the National Conference of Uniform State Law Commissioners (1996- 2000) and served on the Drafting Committee for the Uniform Mediation Act for the Uniform Law Commission. Mr. Dunbar has served as the firm’s managing partner since its inception. Trucking Accidents, Transportation Law, Commercial Trucking, Professional Errors and Omissions, Products Defense, Premises Liability, Commercial Litigation, Products Liability, Premises Liability, Personal Injury, Freight Claims, Medical Malpractice, Legal Malpractice, Insurance, Bicycle Accidents. University of Georgia School of Law, Athens, Georgia, 1985 J.D.